Effectively Reduces Wrinkles, Crow’s Feet, and Worry Lines In Minutes! Don’t let crows feet, worry lines, laugh lines, forehead creases, and other signs of aging diminish your beauty and destroy your confidence; reclaim your youthful appearance today with the most trusted Botox® treatment in Glendale. At 7Q Spa Medical Center, our friendly and knowledgeable physicians can painlessly soften wrinkles, relieve migraines, reduce excessive sweating, and calm muscle spasms through the use of “injectibles,” like Botox®, which denerve facial muscles and give skin a smooth, flawless appearance. Look and feel younger in days, not weeks or months. 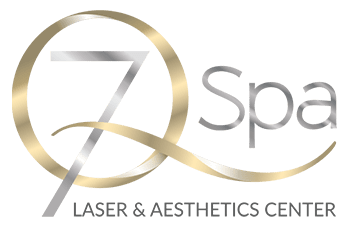 Schedule a Botox® consultation or treatment at 7Q Spa now! Worrying, smiling, laughing, and overexposure to the sun can damage tissues and, over time, lead to unsightly wrinkles on even the most moisturized and sun-screened faces. Injectibles like Botox® safely and effectively smooth these wrinkles by blocking signals from nerves (a process called “denerving”) and preventing tiny facial muscles from contracting. Though the denerving effects of Botox® are not permanent, research suggests that long-term use of injectibles may extend the duration of each treatment’s wrinkle-reducing effect.